For the uninitiated, I should explain what a Saggar is, it is a big piece of pottery that smaller pottery is sealed in. Traditionally this was done in Stoke on Trent to protect the pottery from the coal fire that they fired their kilns with. 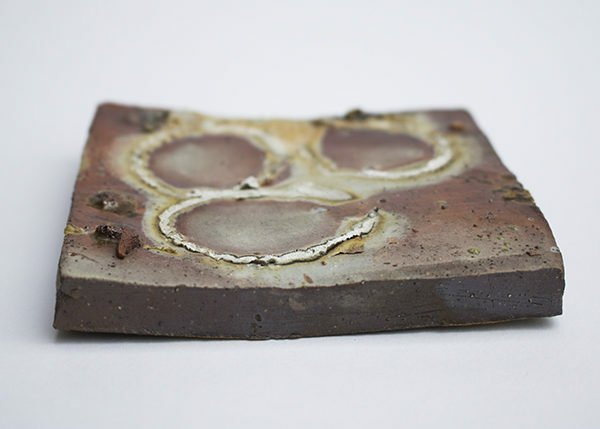 Modern Potters use them to get a reduction environment inside an electric kiln, this stops the kiln from getting damaged and brings some different effects to the pots. 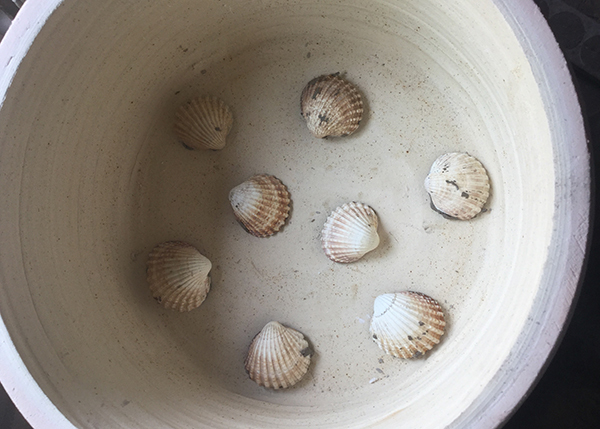 Seashells lining the bottom of the Saggar, the only picture I took before the firing. 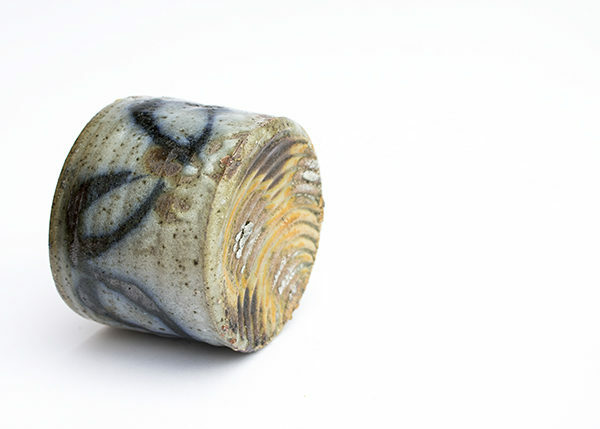 I threw a a saggar a few years ago and it has been sat on the top shelf on my studio for a few years now, not really having the confidence to use it, as I was afraid I would damage my kiln regardless of it being sealed. I also didn’t take many photos because I wanted to do it in secret as I was convinced it would go wrong and in some ways it did. The kiln was fired to 1200C (2192F) which was cone 7 flat due to the fact my kiln doesn’t fire very fast so cone7 always drops and I don’t have a cone 8 to check it. In the Saggar I had a mixture of seaweed, blackcurrant branches and lump charcoal rather than briquettes. Everything is separated by seashells so the don’t stick to each other. When I first opened it my heart sunk, it was dark gloomy and my saggar split down the middle. 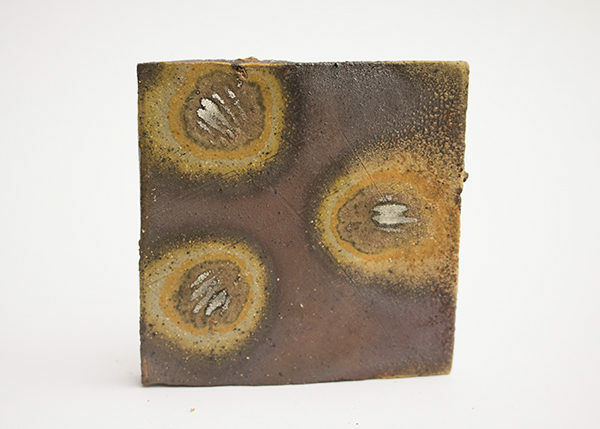 It was it was only once I lifted them into daylight, that I could see how amazing the results were, and there was no real damage to my kiln or kiln shelf. This pot like all wonky pots is a mixture of stoneware and earthenware clays with added homemade grog, splashed with porcelain slip. 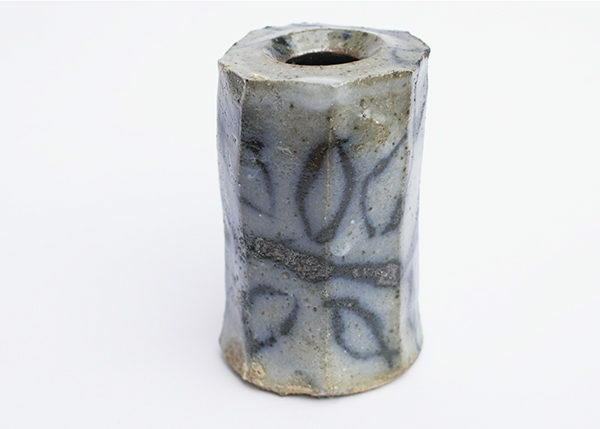 I love the slight reduction speckle in the clay body, cobalt becomes much stronger, and starts to spread through the glaze, so if I did it again, I would reduce the strength of the cobalt, use the carbonate rather than the oxide. Top side of the tile where all the seaweed and ash has settled. This was unglazed so any glaze was formed by the materials in the saggar. The marks left by the seashells really help tie the whole thing together. 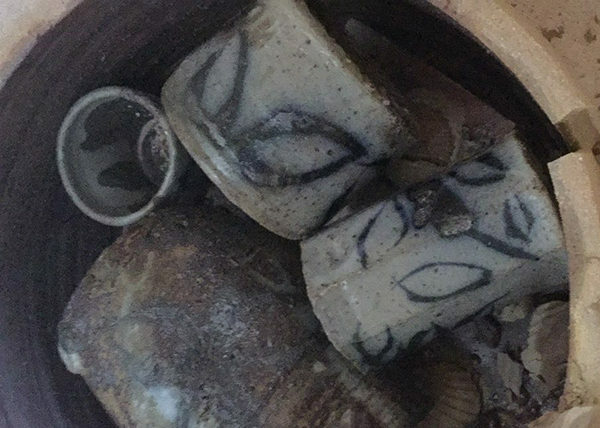 I really want to fire in a saggar again but my saggar is an ex saggar, so I will have to make some new ones and seal them with wadding material rather than just my normal clay as I don’t have alumina in stock. I will probably make them with a slab roller as there is one at my day job. And then fire everything separately so I can understand what each one is doing, there are also other materials I want to test in the saggar. 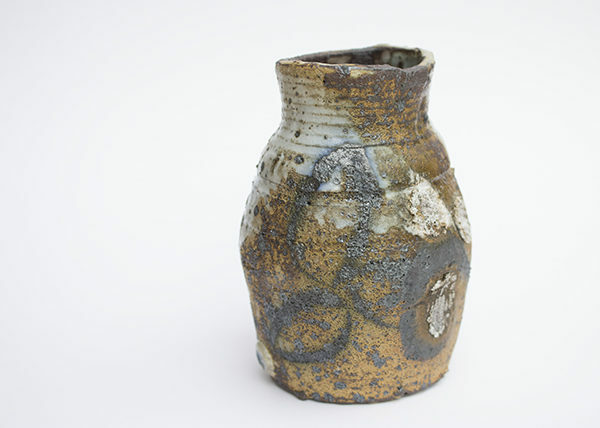 This entry was posted in Eperiemental firing, Film, Learning, Research, Saggar, Slip and tagged blackcurrant, ceramics, charcoal, clay, making, pottery, red fox pottery, Saggar, seaweed, Slip, terracotta, tiles, touching, wonky pots, youtube. Bookmark the permalink.